The Hamilton cast vs Trump/Pence controversy is interesting, isn't it? I'm in total agreement with the Broadway Musical, both in that they felt it was within their "brand" so to speak, to address Vice President elect Pence on the issues of multi-culturalism, which could be at stake during the upcoming Administration; and that they waited until after the show had completely ended, including curtain calls, to make the statement, showing concern for the proper handling of such an unprecedented act. 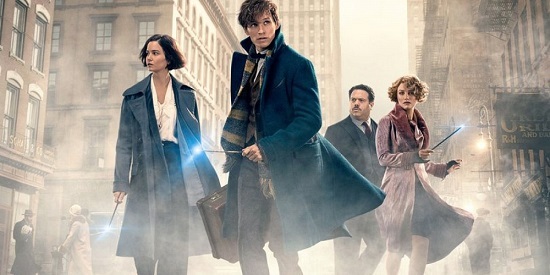 Later, I started gathering my research for this Fantastic Beasts and Where to Find Them post and was struck by the similarities between this mystical, fantasy world of J.K. Rowling's and the world we have entered into with the election of Donald Trump to the Presidency. 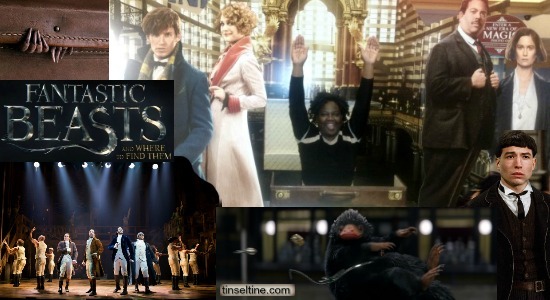 In Fantastic Beasts, the Wizarding World stands for progression and open ended possibilities. The No-Maj (regular humans) World stands for fear and oppression. Although, the Wizarding World is also found to have overzealous rules for their own, when it comes to their opinions on the mishandling of magic and their mistrust of No-Majs. So too we'll have to be careful in our fight to protect inclusiveness and racial tolerance, that we don't step over into militancy, and remember, the inclusiveness we cherish must also include people who hold views with which we don't necessarily agree. 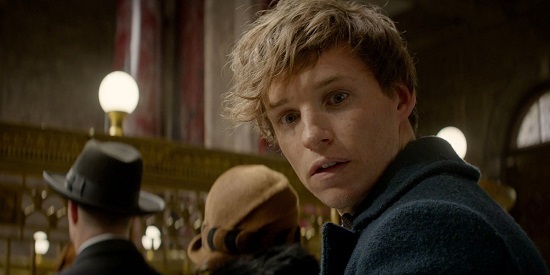 T&T Quick Fantastic Beasts Synopsis: Directed by David Yates, and a first time screenplay by Rowling herself, the movie begins with Newt Scamander (Eddie Redmayne) coming to the shores of America from England in 1926 New York City. He's got a briefcase full of magical creatures and a mission to restore one such creature to the wilds of Arizona where the creature supposedly originated. First though, he wishes to procure another creature only bred in NYC. In a series of mishaps, a few of the magical beasts escape their portable home, including a thieving platypus of sorts with a penchant for shiny items; and I love the thing that goes shopping in Macy's - picking up odds and ends like a housewife with time on her hands. 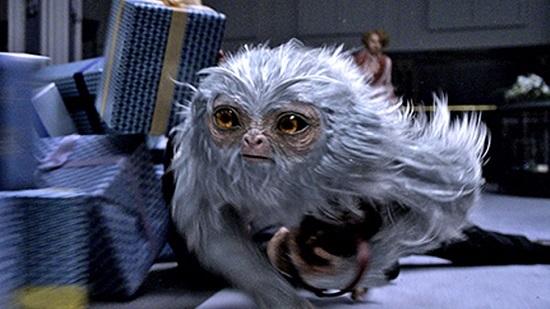 In Newt's attempts to recapture his illegal "pets", he comes in contact with Jacob Kowalski (Dan Fogler) a No-Maj with an irresistible spirit and sense of comic timing. A disgraced magic authority agent Porpentina Goldstein (Katherine Waterston) trying to regain her reputation. 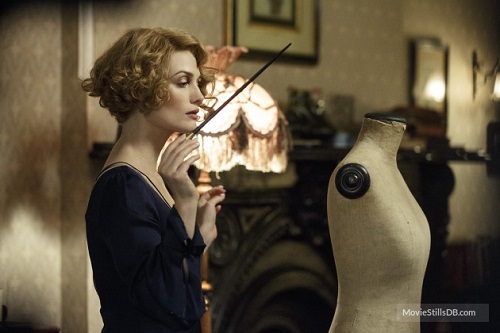 And her Marilyn Monroe-like sister, Queenie (Alison Sudol). The 4 make for a delightfully magical and romantic pairing. Criticism Overall - The film never has those great character moments that made the Potter films so good. To make matters worse, there is a severe lack of forward momentum in the story, taking almost a full hour for us to get to the main plot. The hour it takes to get there is filled with lots of world building rather than taking the time to develop the characters or get into the meat of the story.